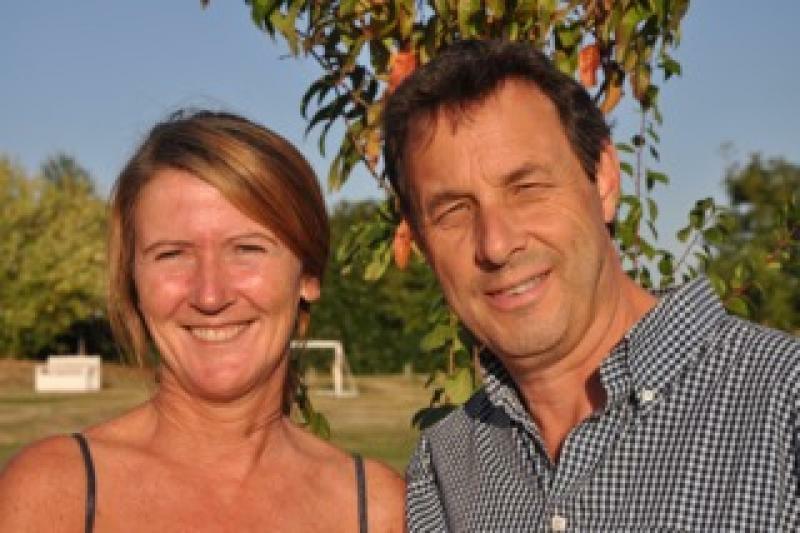 We are so happy to welcome Allan and Ruth to Holiday Tots, they have recently taken over ownership of two of our favourite gites in the south west France, with fab facilities for the whole family. We will of course miss the previous owners Les and Sarah, who have moved on to the next adventure in their life, and we wish them well. The child-friendly holiday homes are perfect for two families with babies, toddlers and young children looking to holiday together, or maybe different generations for a special family holiday. Alternatively, either cottage can be rented individually. There are 5 bedrooms in total across both cottages, sleeping up to 11. Relax on one of the terraces soaking up the beautiful setting, while the kids explore the large garden there is also an enclosed children’s play area and enclosed swimming pool to have a splash around. If you want to keep active there is a gym and sauna for guests too. It doesn’t stop there; the location is fab for exploring. The nearest village is only a few minutes’ drive and the town of La Rochefoucauld is ten minutes’ drive. There is local kayaking and cycle hire for active families. Meet the lovely Allan and Ruth, who we know will build on the perfect foundations that previous owners Les and Sarah began. They have already had guests staying with them, and you will see that they are set to be excellent hosts for future guests too. Ruth was born and bred in Cork, South-West Ireland and moved to the UK to pursue her professional career. Allan is a Somerset boy and we met many many years ago when we were both working in London. We moved to the Cotswolds where we set down roots and raised a family. We have been married now for 24 years and have two children; Thomas and James aged 21 and 19 respectively. James is currently living with us having just returned from his travels around Europe and Thomas is studying music at ACM in Guildford. As a family we regularly holidayed around Europe, staying in various gites and villas and we always sought quality accommodation and good memories. We loved staying in France, in particular, and often talked about moving here permanently. When an opportunity arose from a change in our circumstances, it gave us the nudge to follow our dream of living in a rural community in this beautiful part of France. We both come from customer service backgrounds and wanted to be able to offer families a quality of accommodation and an experience that we looked for ourselves when we holidayed with our own family and friends. We took time to find somewhere that we thought could best offer these things and where we could add our own personal touch, and it is here in the South West of France we found the perfect place! 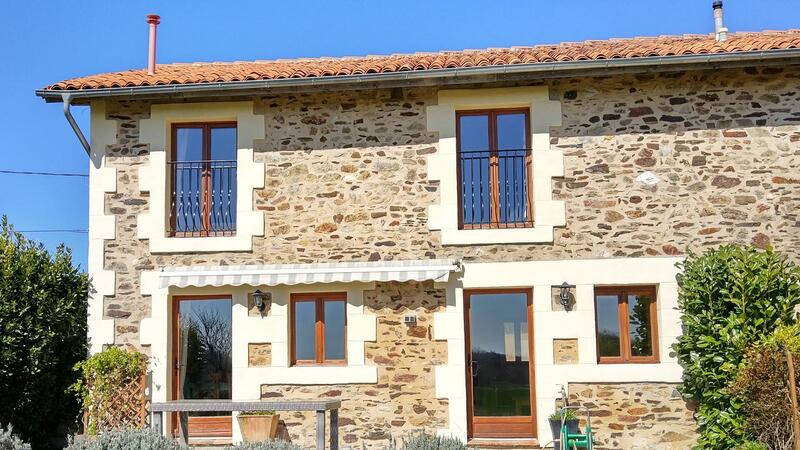 The properties were an up and running successful gite business so we have been able to hit the ground running, with the fantastic support of the previous owners, Les and Sarah. The toughest part was after finding the perfect place, waiting 16 weeks from having our offer accepted to getting the keys……… The challenge now is to see what more we can do to add to this lovely holiday destination so that it is even more appealing to young families. What was the most memorable/enjoyable part of setting it up? Reading the excellent guest reviews of our accommodation on line and of peoples’ experiences when they were here. 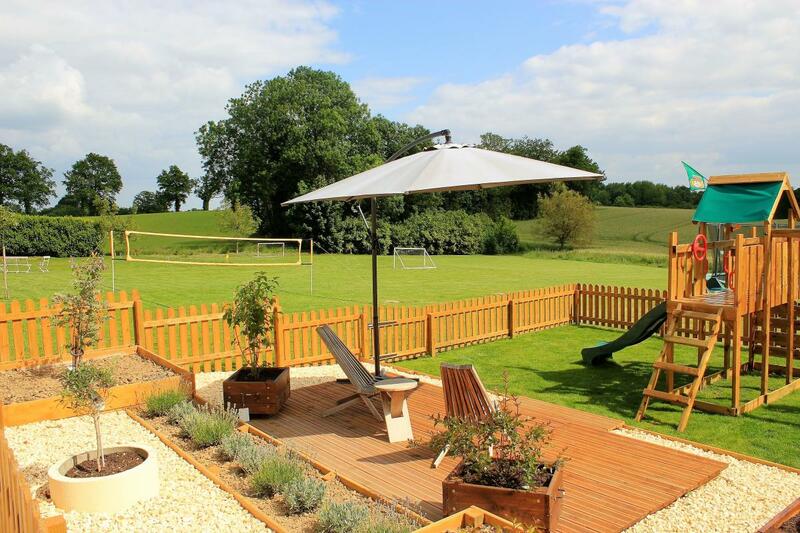 We purchased all the fixtures and fittings for the gites, baby and toddler equipment and all the exterior facilities including Play Park, garden games, table tennis etc. Preparing for our first guests with their young three-year-old is our most memorable experience to date. Trying to have everything perfect for their arrival and trying to tailor our baby equipment and toys for the individual toddler. It went really well, and he loved the brio in particular! Getting it right for him really seemed to have helped his mum and dad to relax and enjoy their holiday that much more. The morning always starts with meeting the girls. Our 4 free range chickens are let out of the coop, given breakfast and left to roam around the large garden for the day. The pool then needs to be cleaned, checked and heated before ensuring all the play equipment is out and ready and the summer terrace is cleaned ready for the guests. Being on hand for the guests for any queries or guidance on places to visit is always key. Most days involves a bit of admin and on-going maintenance of the grounds and gites (when empty) and collecting the chickens’ eggs of course. The day always ends with the 4 chucks putting themselves to bed and us closing them in safely for the night. Our place is set up specifically with families in mind. It is fully equipped with all the baby/toddler equipment we hope families need and we are committed in our new venture to making our guests stay as comfortable as we can and to cater to their individual needs as a family. There is a huge garden here for children to let off energy. There is a safe gated play park for young children with swings, slide, “climbing wall” and rope ladder. There is also a decking area with seats in the play area for parents to relax whilst the children are playing. We also have a 13ft-fenced trampoline, table tennis, boules, croquet, badminton and football areas for children, not to forget a lovely large enclosed swimming pool. There is also so much to do for families in the surrounding area if, and when, they venture out. Our main advice for families wanting to holiday with us is to chat to us before and during their holiday so we can begin to get to know them as a family and understand what makes a great holiday for them. All families are different, and as hosts we want to do what we can to help them relax, make memories and to spend quality family time together. For younger families, the Grand Etang de St Esteph (20 mins drive) is a freshwater lake with sandy beach and shallow warm water for paddling/swimming. It has a lifeguard service, cafes, restaurants and tourist information on site. It also offers free (half hour) kayaking sessions for older children and adults. The other would be the Aventure Parc at Massignac (10 mins drive) that offers a Treetop Adventure Park with various levels of difficulty and a tiny-tots adventure area. On site-café but it’s also possible to take along your own picnic (tables/benches available). Wide variety of baby/toddler/young child equipment available. Guests are offered a list of items that we can provide on site so that we can have their accommodation personalised on their arrival and to help minimise the items they need to bring themselves (freeing up valuable car boot space, e.g. strollers, changing mats etc!). A good selection of age appropriate toys and games are provided in the gites. In addition to the children’s facilities mentioned above, the pool area is surrounded by a wall/high hedge. The pool is also alarmed, and the poolside has several areas offering shade from the mid-day sun. An inflatable paddling pool is available for very young children. The Summer Terrace, overlooking the pool, provides a welcome shaded area on hot summer days. Specially designed for outdoor living, the Terrace is furnished with a large hammock, a relaxing sofa, large family dining table and chairs and an American fridge/freezer. 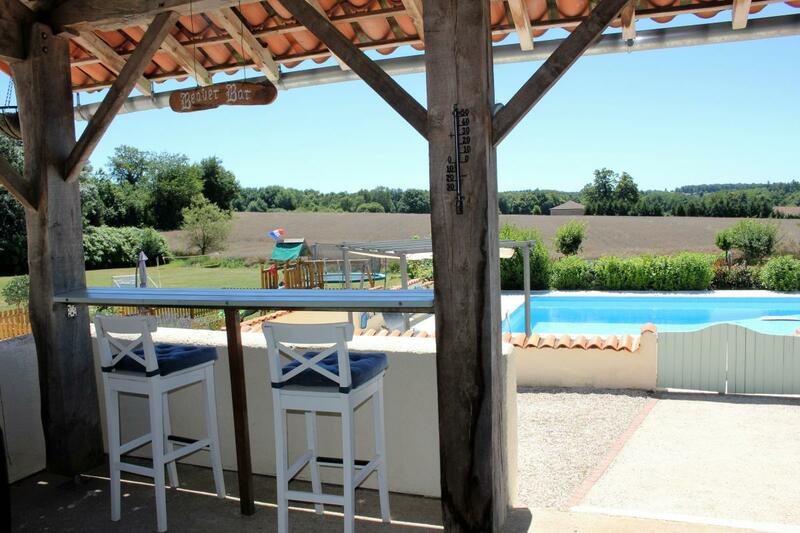 Life here in the South West of France, surrounded by beautiful Charente countryside, is slower, more relaxing and warmer than we are used to with of course, all the benefits of French culture and fantastic food & wine.